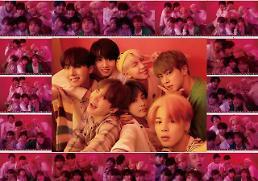 SEOUL -- South Korea's leading game publisher Netmarble has opened a website for a BTS-themed mobile game named BTS WORLD that will be released soon. 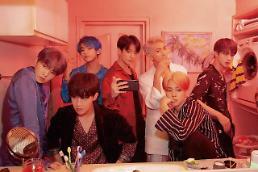 "BTS WORLD Coming soon," Netmarble said in a post uploaded onto the official Twitter of BTS WORLD, an interactive mobile game including more than 10,000 images and 100 video contents of the boy band. Players can train BTS members and share their progress with other players. Netmarble has said it would create a new genre by combing a game with cinematic dramas and K-pop. The game publisher invested 201.4 billion won ($179.8 million) in the group's agency, Big Hit Entertainment, in April last year. Big Hit founder Bang Si-hyuk is a cousin of Netmarble chairman Bang Joon-hyuk.